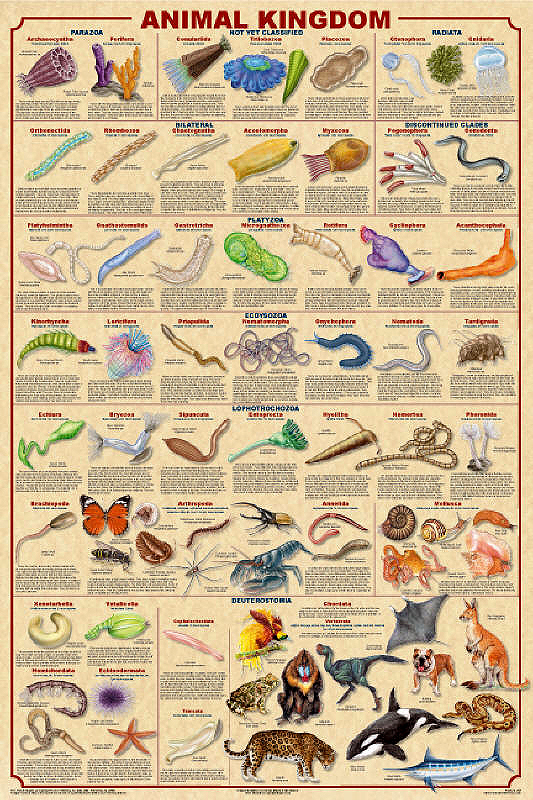 The traditional Linnaeus phyla-order-family animal classification system was the basis for our earlier Animal Kingdom poster, which showed only the living species. This system is now being replaced by the new cladistics classification system. This new way of looking at animal life has had an enormous impact on the study of animal development and prehistoric life. It is taught in all the major universities and is now making its way into K-12 schools. Animal Kingdom 2 presents the new cladistics classification system. Six newly established phyla / clades have been added as well as eleven containing only extinct species. This increased the number of phyla / clades from 27 to 44. They are grouped into the nine primary clades shown and explained in Animal Development; thus the two posters complement each other. Linnaeus did not know about prehistoric life, and his classification system grouped together similar living species. It has been the basis for animal science for over 270 years. Many modern-day animals have not yet been classified under the cladistics system due to disagreements among the experts. Many biology textbooks have not yet been updated to reflect this revolutionary new way of looking at animal life. 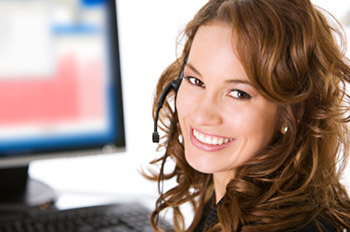 These factors have resulted in the use of both systems during this transitional period. Because of this, both Animal Kingdom 2 and Animal Development cite traditional phyla names rather than the clade names, which are almost identical. This all-new edition shows almost twice as many species as the earlier one. It is an essential reference chart for teachers, students, and professionals dealing with both living and prehistoric species.. Animal Development, Milestones of Evolution and our Animal Kingdom poster are designed to be used both individually and together. Animal Development focuses on the invertebrates and Milestones of Vertebrate Evolution picks up where it leaves off. Both show how the various clades evolved; Animal Kingdom shows the results. Teachers, students and professionals will find this set to be an invaluable reference. All are listed on the menu at left.